In the fall of 2017, we hosted a storytelling event called “School of Life”. Our intention was to bring people together in honor of one of our core beliefs: that learning is natural and happens all the time, regardless of one’s proximity to a classroom. It was a great event filled with unique stories and varied lessons, and so we thought it’d be fun to carry that idea forward into this space. Our second story features Alex Upham, a volunteer at Little Lake as well as the esteemed Ex-Headmaster. It started with a thrift store trip. Well, actually, I wasn’t even involved in that part. A good-natured friend of mine thought that the $20 soprano ukulele looked too good to pass up, and so she bought it with intentions of giving it to me, come what may. Now mind you, I had no musical talent whatsoever, had never mentioned the idea of playing an instrument and frankly didn’t have the time. Luckily she was far too good-natured to see all of that and gave it to me anyways. At the time, I was just beginning my second year working as an advisor at the Little Lake Learning Community. An often-rehearsed phrase in my line of work was “anyone could learn anything.” John Holt, a prominent writer in the field of self-directed education, had learned how to play the cello in his forties. Surely this little four-stringed toy would help me demonstrate to the students that anyone, even someone as musically disinclined as myself, could learn how to play music… John Holt must have practiced a lot more than I did. I didn’t feel like I could learn ukulele because I was absolutely certain that I just didn’t have the skill set. Some people can play music, and some people can’t. Nonetheless, I did bring the ukulele in to school. I made sure to struggle in front of the students so they could see the importance of discipline, that everyone starts off with no idea what they are doing, etc. It took me nearly two months just to learn my first three chords. One Spring day, I was outside playing and was approached by two of my older students. I had to go check on something and so thrust my instrument into the hands of one of them, showing her a chord before leaving. By the time I came back, she was making all sorts of sounds that I thought truly unfair for someone who had never touched any instrument before. She had talent, and her friend was interested too. The three of us practiced a bit, sharing just my ukulele, before two more instruments popped up and we were able to practice together. The school had decided to put on a play that year entirely written from scratch. Naturally we wanted to showcase our burgeoning talents and made room for ourselves in the play as a band performing a song. Well, no, that doesn’t quite do it justice. We were a band made up of three krill performing a song which narrated the story of the play up until our formal arrival in the play as a parody of a Neutral Milk Hotel song, and we performed it in a whale’s belly. Every practice session we had had until the performance was off in one way or another, and up until we performed, we had jitters about our ability to pull this off in front of an audience of 50. Nevertheless, we crushed it and maybe got hooked there. It was too good a joke, “The Krill,” and we had to keep it going. I was privileged to be giving both of these students a ride home fairly regularly, so we would often have one person play music while the others sang along, making up words on the spot. Someone had the idea of recording these sessions, and they became our first album. Now bear in mind, this all came about from a few chance moments, but ultimately we just kept finding reasons to keep going. Our second and third albums were more serious in that we made time for them outside of car rides and school, but the lyrics and music were still largely improvisational. You can hear everything we’ve ever done and then some if you type “the krill” into Soundcloud and don’t turn your speakers up too loud. The albums were great fun, but the crowning moments in my mind were the performances. We got to play Totally Awesome Fest, Lake-A-Palooza, and strangely enough a paid gig at the Tap Room. It should at this point be stated that we never were a solid act. We didn’t practice much together. Our albums were often constructed start to finish in the span of a day and recorded on a phone. But we each gained a lot from the experience. We learned that we were capable of playing music, that we could indeed learn more. For me, it made something that seemed impossible seem tangible. I now play ukulele, guitar and baritone ukulele, and have even built an electric three-string guitar out of a cigar box and can kind of play that thing. On my own, I may have learned a few chords a month, and a song a year. With The Krill, I learned far more than that and am still learning today. I truly feel that I can learn anything, and am greatly thankful to my friends Julia and Paige for helping me see that more than just profess it. -Where did you learn what was most important to you? -Did you learn something at school that wasn’t on the curriculum? -Who, or what, have been the greatest teachers in your life? Include your name and a brief description of the story you’d like to share, and we’ll contact you with details. I came across this article the other day about a professor who taught her students advanced math through knitting, and thought this was a great example of teaching using non-traditional methods. My father went to Roeper School, a progressive school in Birmingham, Michigan for gifted children that also values self-directed education, and he often told the story of how his teacher taught them fractions by bringing in a blueberry pie. This obviously stuck with him quite clearly, and this knitting professor reminded me of it. My own kids have learned math concepts and skills through various real-life experiences–cooking and baking, designing a pattern for a piece of clothing, helping me plan a grocery list, budget, and pay for things at the store, playing Minecraft or other games, playing with Legos or blocks, looking at plants and how they are built (oh, the beauty of fractals and the Fibonacci sequence). Learning how to knit and following knitting patterns, and then moving on to being able to adjust existing patterns or create my own was a fun way for me to improve my own skills and understand things better in a visual and tactile way. Many of us seem to understand concepts better when we can hold things in our hands and manipulate them, when we can see ideas manifested in the real world rather than just looking at numbers on a page. The thing I love most about unschooling is that everything we do is seen as educationally valuable–we are always learning through our play and our work. We can be as creative with subjects or ideas as we are inspired to be! A valiant effort: Eli and Asa struggle to keep “Bean Boi” from sucking them in! “Bean Boi” was a lucky find, discovered on the site “Nextdoor” for a bargain $20. It has quickly become an integral part of the Little Lake school culture. “Bean Boi” has inspired many creative games and the creation of safe, school-wide bean bag use practices by the students. It has been the locus of leisurely exposure to literature as well as a welcome oasis for the tired student who needs to “recharge” before another learning adventure! Some of the many varied activities that Bean Boi has been involved with include the making of “slow-mo” videos of the students taking turns running and belly-flopping onto its welcoming surface. Bean Boi has been a sturdy boat for intrepid sailors willing to take on the rough Off-Center seas. It has served as the site of a luxurious, student-initiated “spa” where weary “patrons” can receive a relaxing massage. Bean Boi also has been a wonderful object for the more kinesthetic learner who needs something safe to climb on and physically engage with. We are grateful for Bean Boi and all the wonderful opportunities it has brought to our school! What Can Self-Directed Learning Look Like? We decided as a community this year to become part of the Agile Learning Center Network. We had previously thought of ourselves as partially modeled after the Sudbury schools, but found that the ALC model offered some useful practical tools along with a flexibility that aligned with the kind of culture we try to create and support at Little Lake. We came across this article that gives a brief description of a few different examples of self-directed learning environments, highlights the basics of each, and then compares their similarities and differences. I appreciated that it referred to them as part of “the ecosystem of Self-Directed Education,” because different approaches meet different needs, and all bring common values to the table. Enjoy! Inspired by the card game “The Oregon Trail,” our students decided to make their own model covered wagons! Volunteer Alba Isabel Lamar collaborated with students Vera and Tuula to engineer the historical wagon replicas, using a variety of common household objects and quite a bit of hot glue! Vera and Tuula are experienced, talented miniaturists and have wowed Little Lake Learning Community with their innovative creations many times before! The three used such materials as cardboard box sections, toilet paper tubes, and medicine boxes to construct the bodies of their wagons. Vera chose to make her own tiny wagon, while Tuula focused on creating a larger, Barbie-sized wagon. Alba Isabel assisted in creating functioning spokes and wheels with feminine product tubes, hot glue, cardboard and bamboo skewers. An old T-shirt served as material for the wagon covers, while pipe cleaners, bamboo skewers and more hot glue created the rib-like framework supporting the wagon cover. We are grateful to Alba Isabel for donating her time and creative energies to Little Lake! Although Alba Isabel has not had the opportunity to student teach in a classroom of her own this semester, she has been able to channel her enthusiasm and passion toward the Little Lake Community, bringing brownies and craft supplies as well as playing games with the students. Alba Isabel is currently pursuing her doctorate in Education at Michigan State University, building upon land-based pedagogies to create a framework for an alternative school of her own which emphasizes the revitalization of indigenous sovereignty fighting for decolonization and liberation in all aspects of a learning day. When my oldest son was in first grade at public school, they had indoor recess a lot. Sometimes due to weather, sometimes due to staffing issues, they would have two classes of six-year-olds sit on the floor in the gym and watch a 20 minute episode of The Magic Schoolbus. This happened rather frequently, it seemed. A few times I got a note from his teacher, telling me that I needed to talk to Max about “appropriate indoor recess behavior.” My son’s infraction? Talking to his classmates during the video, and later, kicking his shoe off while sitting in the chair he had been isolated to due to talking to his friends. When I heard the story from my son’s perspective, he was confused about why he couldn’t talk to his friends during recess since that was supposed to be time to play, he wasn’t interested in the video, and his shoe had flown off accidentally when he was swinging his legs, which had become restless from not touching the floor. The teacher told me that playing games or otherwise doing more active things during indoor recess wasn’t an option because they were understaffed. I visited a couple of times and the “recess” was characterized by a six year old being hushed every few minutes by one of maybe two lunchtime staff. He would often come home from school and be super wired, have meltdowns, and need to get some physical energy out after sitting much of the day. He was struggling with reading and was often totally exhausted by dinner time. Getting homework done was often a struggle, with me as the taskmaster. Our relationship suffered. The change in him since we switched to self-directed education has been huge. He gets lots of opportunity to run and play and is never resistant to going to school. He comes home happy and relaxed, but still with enough energy to play with neighbors or his brother. He often will voluntarily sit and read quietly on his own; he has the focus to sit and draw or build a Lego creation for up to a couple of hours. He often asks me to sit with him while he does some pages in a workbook (for fun! ), or asks to help with dinner. He sleeps well and gets up early. Kids need to move to be able to learn, as articles like this and my own experience confirm! Little Lake Learning Community has created their largest die ever! After several weeks of searching for the right device, students Adam and Asa were able to successfully connect the 3D printer to volunteer Stef Weyand’s computer and print creations anew! The 3D printer was generously donated to the school by Adam in early September from his saved-up birthday money. In the beginning of the school year, the students had been eagerly using the printer to create Lucky Cats, but ran into challenge when a connectable computer device became no longer available. Since their happy discovery, a number of 3D objects have been created, including dice of various sizes and a mini castle! The 3D printer up close! “Giant Die,” one of the nicknames of Little Lake’s “largest die ever,” took fifty-five minutes to print from start to finish. According to Adam, this is only half of the time it takes to print a Lucky Cat! He and Asa used an emailed file G-code to engineer their creation, choosing the material, size and other attributes electronically. The 3D printer then used a spool of a special plastic filament to make their creation a physical reality! As “Giant Die” neared completion, the vast cubical hollow necessitated a critical decision to be made: what to put inside? The students finally decided on a pair of Lego pants and a smaller die to be sealed inside “forever!” When “Giant Die” had finished printing, Asa decorated it with the required dots to make it a functional die! “Giant Die’s” creation was followed by the manufacture of another, smaller die: a tiny, single-centimeter cube whimsically christened “Funky Crunk 2.” Adam experimented with the printing speed, cranking it up to double-time! Between the compact size and doubled speed, the sequel die took under ten minutes to print. “It looks like a web in there!” Adam exclaimed, watching the printer at work. How did “Funky Crunk 2” get its name? As Adam explained, the name was originally generated by the computer program at random for another cube creation. It stuck! “Funky Crunk 2” became the sequel! He and Asa immediately began to sing “Happy Birthday” to Funky Crunk, inspiring the surrounding staff, volunteers and students to join in! A custom-decorated Lucky Cat, an earlier 3D printing success! Recently the Little Lake Learning Community has had the opportunity to participate in a few fun, community-based field trips! 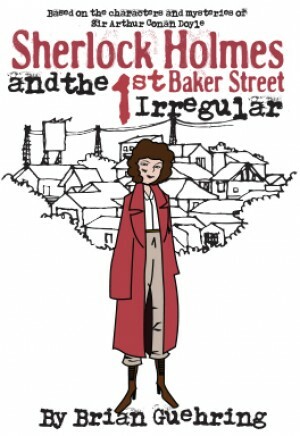 The weekend after Thanksgiving, several Little Lake students starred in the Ypsilanti Youth Theater production of Brian Guehring’s play “Sherlock Holmes and the First Baker Street Irregular.” The remaining students, staff and volunteers were able to view the final dress rehearsal at Riverside Arts Center along with several other students from Ypsilanti-area schools and homeschooling co-operatives. According to Momo, the play broke the record for being “the shortest field trip in Little Lake History” since the school only needed to travel up the stairs to the next floor! We who attended appreciated the opportunity to see and support our fellow students on stage! 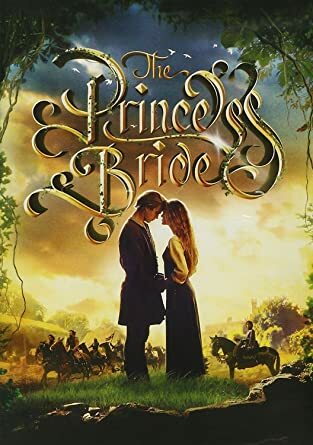 In mid-December, the entire school traveled to the Jewish Community Center to participate in a free screening of the classic 1987 film, “The Princess Bride.” The senior citizens and staff were excited to have the children attend. Students, staff and volunteers enjoyed popcorn, tea and the welcoming attitudes of the JCC folk along with the film! The first story we’re featuring was shared by Jeff Yoder, a parent of two children at Little Lake. When I was a child I lived on a dead end street that backed into a city forest. It was about 15 acres of land and provided me and my friends endless hours of entertainment. We would build forts, climb trees, and make noise away from the hustle and bustle of life (and away from supervision). I loved it so much that I became convinced that my REAL family lived in those woods. I would tell my parents that my real home was in the forest and that I was just living in this house temporarily. Eventually they became concerned when my story didn’t change. One day my dad took me into the woods and said “show me where your real house is”. I excitedly took him around the woods, convinced that I would find my real family at last. After a while, when I couldn’t find it, I had to accept that my real family did NOT live in the woods. I was sad but moved on. Later in my life my partner and I got the chance of a lifetime to invest in a patch of woods just outside of Ypsilanti. It would stretch our budget but we felt it was worth it for the opportunity to one day have our own house in the woods. A few years later the housing market turned around and we were able to sell our beloved Ypsilanti home and start the construction process. I had always dreamed of building a house and finally had the means to make it a reality. I studied technique, made lists of tasks, made a budget, and convinced a bank that we could build it for half of what they thought. Using the resources available to me– YouTube, books, advice from tradesmen friends, and prior experience, we were able to complete each task. Our community came to our aid, giving us countless volunteer hours, and we pulled every ounce of effort to finish the house. Now my family lives in the woods, just as I always knew it did. I feel that somewhere along the line I learned that I can find the resources to complete any task and that I don’t have to be an expert before I engage in the things I want to do. In the end, that skill proved more valuable to me than the specific information I picked up in school. Provided that my children learn that skill, I am confident that they will be able to do anything they want. Little Lake Learning Community affords our children an open, honest, caring, and respectful place to learn who they are, what they care about, how to gather resources, and how to serve their community. They have a great time going to school and look forward to each day and what opportunities it will bring them. -Where/how did you learn what was most important to you? Little Lake Learning Community has its own ongoing Creative Writing workshop! Led by parent Pam Aronow and her son Ian (a former Little Lake student himself), the workshop aims to allow students the opportunity to get their creative juices flowing and express their thoughts in a fun, relaxed and supportive environment. Workshops are held every Wednesday afternoon and have attracted interest from volunteers and students alike. This past session included Pam, Ian, volunteer Antoinette Moncrieff, and students Vera, Tuula and Adam. A typical Creative Writing workshop lasts around 45 minutes and includes two writing “prompts” to channel inspiration and help shape participants’ thoughts. Prompts range from the hypothetical (“what would you do with your own personal robot?”) to the active (“write a letter to someone you appreciate to say thank you”) to metaphors (“sitting on your pity-pot”) to imaginary scenes (“write a children’s story about people who are hiking in the woods when they are suddenly surrounded by hundreds of butterflies”) workshop participants have 15 minutes or so to jot down their thoughts, after which they share them with the rest of the group, taking turns reading their composition aloud and listening to the compositions of others. The most recent workshop session started off with the question: “If you could meet any fictional character, who would it be?” Pam encouraged the participants to not just answer the question, but to elaborate and provide details that the reader may not necessarily know but may be wondering about. Compositions included such characters as Harry Potter heroine Hermione Granger, Aang from the television show Avatar, The Last Airbender, A.A. Milne’s Winnie the Pooh, Newt Scamander from Fantastic Beasts and Mythical Creatures and dragon Julius Heartstriker from the novel Heartstrikers: Nice Dragons Finish Last. The participants’ responses each included traits and qualities that they admired in their characters: Winnie the Pooh was valued for his patience, words of wisdom, home-iness and friendship; Hermione for her underappreciated moral conscience and staunch support of non-human magical creatures; Julius for the kindness and gentleness which set him apart from other dragons. The workshop’s second prompt centered around an imaginary scene: “Think of a rainbow. What’s at the end of your rainbow? What would you find?” Responses were unique and varied from the humorous (a magical fruitcake from Whole Foods with the power to shrink the author for 3 days!) to the whimsical and practical (a pile of six snuggly Australian Shepherd puppies and a box full of inspiration for the author’s story). A few responses were more philosophical, exploring and challenging the traditional “pot of gold at the end of the rainbow” metaphor; one response questioned whether or not the rainbow had an “end” and suggested that the “rainbow” might actually be all around us. Another encouraged the reader to always dream with the ultimate goal at the “end” but reminded the reader to focus on the process rather than the prize as the most important part. Adam is hard at work! At the end of the workshop, Pam posed some questions to the workshop participants, inviting them to start thinking about how they might structure future workshop sessions. She asked them for feedback regarding what they might like to see happen . One of the options discussed included a “story starter”; participants would add to a collective group story every session for a few weeks in a row. Another option would be to focus on one consecutive topic as a group for several sessions after the New Year. One student suggested incorporating creative writing into the “focus game” element of the all-school beginning and end-of-day meetings. Creative writing with Pam and Ian is a highlight of the week for all concerned. For student and volunteer participants, it is a chance to explore a shared interest with others, hone their skills and better get to know themselves and their fellow participants. For Pam and Ian, who has autism, it is a welcome “place-setter” in the week, providing them with a chance to actively engage with the larger community. Pam and Ian have made great strides in the area of communication in the last few years, and are excited to share Ian’s thoughts in Creative Writing, both with the aid of a letter board and Ian’s growing confidence in reading aloud. We are excited to see Ian’s skills grow and to have him regularly participate in activities at Little Lake!